[2015-2016] Now, to be fair, I don't expect to have a ton to say about these two flavors, so we're going to cheat and try them both at the same time. Ok, nothing shocking here. Clean crisp taste. Tons and tons of chips. 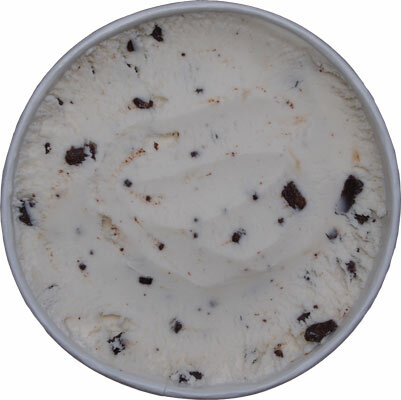 We've got that ice milk like texture that does a fine job delivering a nice robust mint taste. There's nothing fake or funny going on here. Easy melting. Not gummy. Crunch Crunch Crunch. 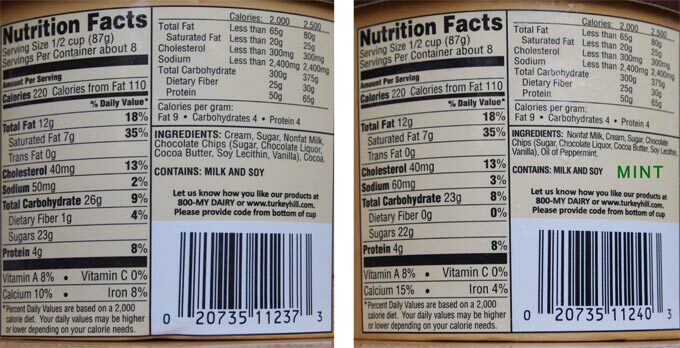 On Second Scoop: If you ever wonder why I get so frustrated with breyers "gelato", buy a container of their mint flavor and a container of Turkey Hill's version. Put a spoonful of Turkey Hill on your tongue. Notice how cold it is. Notice how it cleanly melts away. Notice how your left with just a pleasant effervescence of mint in your mouth. Nothing left to do but crunch some chocolate chips. Now, put a spoonful of breyers on your tongue. Notice how it's not that cold. Notice how it's gumminess just sits there and gunks up the joint. Does the fake chocolate funk linger as well? Now does my frustration make sense? This is all natural and the way things should be. 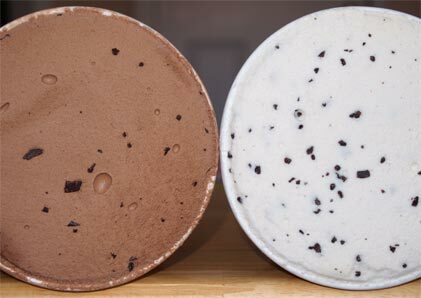 Notice how both gelatos are pretty dense. Time to dig in to the chocolate which isn't bad, but I'll be sticking with their all natural chocolate chocolate chip ice cream instead. Sure, this is a denser product, but there is just something about the way the chocolate comes across that just isn't my style..... but let me clarify. On Second Scoop: I've now sampled this one a few times and while it has the exact same ingredients as it's ice cream cousin, there's just something about the way the cocoa comes across that gelato barrier. It's not that it's bad, it's that I want to clarify that it is different. It caught me a bit off guard at first but it is growing on me. It's just that the cocoa wants to be more important here. It's distinct. It's not drastic, but it is definitely different. If that's your thing, go with the gelato. If not, stick with the all natural ice cream version. How do they compare to Talenti? 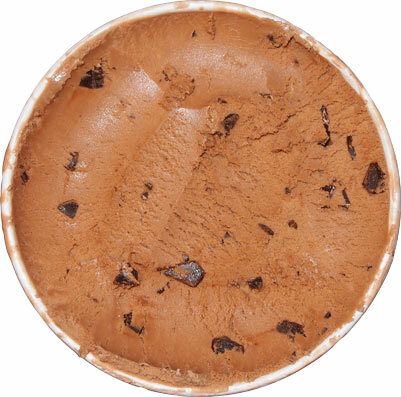 @Anon: this is much more of a dense all natural ice cream then it is a gelato like talenti. I know it's all a grey area, but I wouldnt bother comparing the two, I just don't see them really competing that much. @Anon: Talenti uses Carob Bean Gum! Blecch. Turkey Hill All Natural FTW. I must have got a bad batch. Ican't even scoop this out. dry and crumbly. Bought it at a local Kroger store and planning on taking it back. VERY disappointed. Is it gritty like it's been freezer burn?